Auburn, NY (December 28, 2018) – An Auburn police officer was responding to a multi-vehicle crash involving a drunk driver when he struck and injured a pedestrian on Genesee Street, in the vicinity of Genesee Pl. According to police, the officer had been attempting to avoid a group of juveniles when he veered and hit the 35-year-old Auburn resident. Authorities stated that the accident took place on Monday night, December 24, at an unspecified time. The officer was reported to have had his emergency lights activated as the victim was not in a crosswalk at the time. Emergency medical crews responded to the incident and quickly transported the injured pedestrian to Upstate University Hospital. The unidentified patient was stated to have suffered a broken pelvis in the collision, however, injuries do not appear to be life-threatening at this time. There was no word on any injuries suffered in the crash that the officer was responding to at the time of this incident. No further details have been mentioned. We would like to extend our sincere sympathies to the injured victim, first and foremost, as we warmly wish for their healthy recovery. 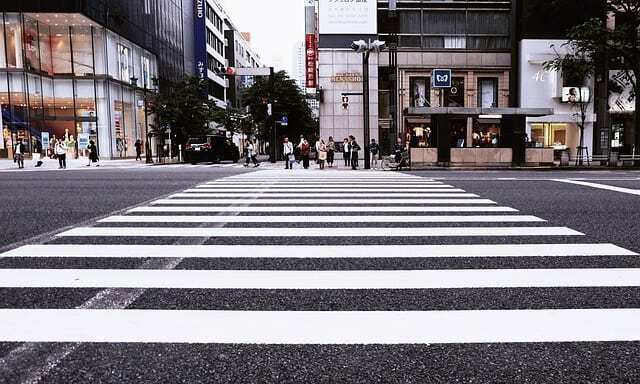 Unfortunately, pedestrian accidents in New York often prove to be critically injurious or deadly simply due to the sheer lack of protection between a person and a vehicle. While it may be difficult, it is terribly important for victims to know that they may have rights after a sudden accident. At Hach & Rose, we understand that the moments following an unforeseen injury can be extremely stressful, and we believe that the victims’ mind must remain on their physical recovery at this time. Additionally, we also recognize that as the innocent victim of another party, you deserve the best representation possible. If you or a loved one has been hurt in a New York pedestrian accident, please don’t hesitate to call 212-779-0057 and let us put our experience to work for you today.